After graduating from the University of Melbourne in the top 5 of his year (1988), David proceeded to an extensive period of training in General Medicine, Paediatrics and Neonatology at The Royal Melbourne Hospital, The Royal Children’s Hospital, The Royal Women’s Hospital and Monash Medical Centre. 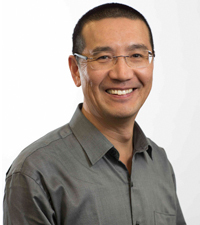 He commenced General Practice in Werribee in 1994, and is a Fellow Of The Royal Australian College Of General Practitioners. He has communication skills of the highest level, and a wealth of experience. In his spare time, he loves to travel, and keep a close eye on his beloved Magpies. Dr Ansari has been practicing for over ten years. Having had extensive training with emergency medicine during his practice, Dr Ansari is skilled in identifying and managing orthopaedic & musculoskeletal fractures, dislocation and tendon injuries. His clinical interests include chronic disease management, preventative medicine and mental health. His empathetic approach is well-known amongst patients and provides the extra peace of mind required during consultation. Saber is also a Shared Care Maternity doctor who can manage your pregnancy with the local hospital. Dr Ansari is a member of the Skin Cancer College of Australia and Royal Australian College of General Practitioners. He is training in advanced skin cancer surgery. Additionally, Dr Ansari has considerable experience in Facial analysis and Cosmetic procedures having practiced for over seven years with dermal fillers, anti wrinkle injections and other aesthetic treatments. 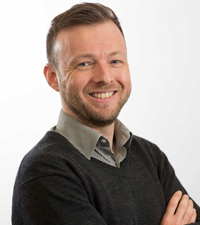 Dr Craig is a fellow of RACGP and has been at Hoppers Lane General Practice since 2015. She started her career in the USA where she worked for 12 years before migrating to Australia with her husband and son. She went to medical school at the State University of New York in Buffalo graduating in 1994 and did her family practice training at Southside Hospital in New York. Dr Craig has a special interest in antenatal care as well as paediatric care. She is a Shared Care provider with Werribee Mercy Hospital , Sunshine Hospital and the Royal Women’s Hospital. She also provides chronic disease management for diabetics, those with ischaemic heart disease and asthma care. Dr Craig also does Botox for patients at HLGP. In her spare time Dr Craig enjoys hiking, running, reading and knitting. I live locally with my family and have been consulting at Hoppers Lane General Practice since 2014. I graduated with Honours from Sheffield University Medical School in the United Kingdom in 2003, following this I completed a surgical training program, where I worked in Intensive Care, General Surgery, Orthopaedics, and an extended period in Neurosurgery. I decided that General Practice was where my real passion was, and became a member of the Royal College of General Practitioners (UK). This included working in Mental Health, Children’s Health and General Medicine. I am a fellow of the Royal Australian College of GPs. I have a broad range of interests, including Musculo-skeletal medicine, procedures such as Skin Surgery and Joint Injections, travel medicine as well as Chronic Disease and Mental Health. I enjoy training the next generation of doctors as an Honorary Lecturer with the University of Melbourne. Outside of General Practice I enjoy spending time with my family, following Manchester City Football Club and keeping fit by running and surfing. Through a highly skilled and caring approach Amir enjoys helping patients to achieve their health goals . 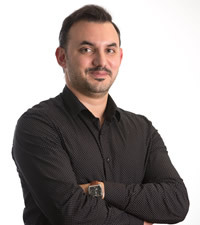 Dr Amir Faham Started practicing Medicine in 2007 and is a Member of Royal Australian College of General Practitioners , skin cancer college of Australia and Australian society of Aerospace medicine . 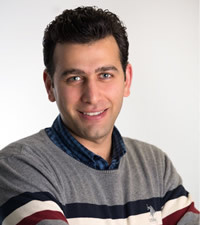 Continually updating his knowledge with evidence based medicine , Amir is committed to improving his patient’s health . 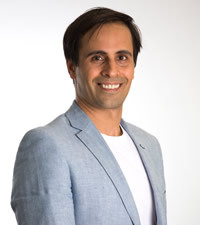 Dr Amir is a committed GP with experience in a wide range of areas, additionally, he has special interest in skin cancer ,chronic diseases, weight management and mental health . Patients highly regard Amir for his approachable and caring nature . He is thorough , compassionate and takes time to explain matters clearly which is a source of great comfort . Patients value Amir’s medical expertise, individualised personable treatment and emotional support he provides them. Besides being a Medical practitioner, he has always showed a balanced life in terms of work, family responsibilities and leisure time. He follows his personal interest in fitness , photography as well as being movie critic. 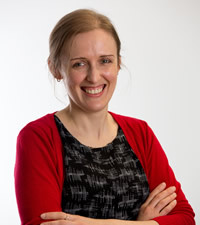 Dr Helen Grogan is born and bred in Melbourne. She gained her medical degree at University of Melbourne, and has her fellowship of the Royal Australian College of General Practitioners. Dr Grogan starting practicing in Werribee at the Werribee Medical Centre in 1990 after living and working in England for 2 years. She then opened her own practice in Wyndham Vale in 1994. After 18 years Helen decided to amalgamated her practice with Hoppers Lane General Practice in 2012 where she continues to care for her patients. Due to having a large practice of her own Dr Grogan does not currently see new patients other then the relatives of her regular patients. Dr Pasha Hazrati graduated at the Guilan University (GUMS) in Iran. 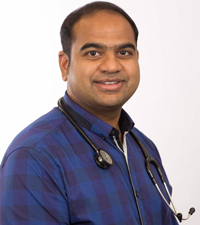 He has been practicing since 2011 with interests in medicine, paediatrics, chronic disease (control and management), screening and preventive health. Pasha move to Melbourne in 2017 and became a member of the Royal College of Australian General Practitioners. He has been participating with studies on woman’s health, Mental Health care and various other workshops during this time. Dr Hazrati has gentle and caring approach who can provide the best care across all aspects for you and your family health care needs, with his experience in paediatrics, woman’s and men’s health. Pasha has now moved to the western suburbs where he has started with Hoppers Lane General Practice as a key member of the clinical team. My goal is to improve the health of my patients with special interests in Skin cancer, mole biopsy and removals, skin checks, women’s health, Implanon implantation, chronic disease management, mental health, sexual health, weight management, minor procedures and all aspect of modern family practice consult. I cherish my ability to have trusted relationship with my patients and taking care of their physical and mental health. Trying to help my patients to achieve their health goal in a reasonable and responsible period. Saeideh is also a Shared Care Maternity doctor who can manage your pregnancy with the local hospital. Apart from working as a GP, I have a wealth of experience in emergency (Orthopaedic and cardiovascular and infectious disease) were I worked as a senior medical officer in an emergency department for one year before I immigrated to Australia. 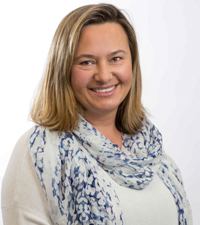 Renata is an Australian trained GP with an interest in skin cancer medicine, minor procedures, general and preventative medicine, and women’s health. She completed the Graduate Medical Program in 2006 at Sydney University following her undergraduate degree of Bachelor of Medical Science. 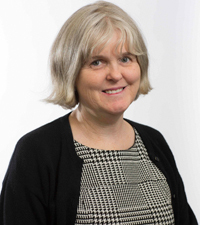 She has enjoyed working in a variety of areas over the years with both rural and urban hospital placements in general surgery, orthopaedics, general medicine, paediatrics, emergency and chemical pathology. In 2015 she undertook general practice training and obtained her fellowship with the Royal Australian College of General Practitioners in 2017. Renata enjoys the variety that general practice offers. She offers skin checks and is able to do skin biopsies and excisions. She has completed further study in this field and obtained her Primary Certificate in Skin Cancer Medicine (Bond University), Primary Certificate in Dermoscopy (Bond University) and Primary Certificate in Skin Cancer Surgery (Queensland University). Renata enjoys time with her young family. A UK-trained enthusiastic GP with 14 years’ experience. Dr Suman Musku has been working as a GP for several years and enjoys being a Generalist. His Membership in surgery and hospital rotations has allowed him to competently practice and manage Chronic Disease conditions and surgical problems. His clinical interests include men’s health (vasectomies), dermatology and minor surgical procedures. 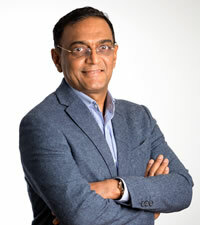 Dr Suman has a passion towards teaching and has students from Melbourne Medical School. He holds high regards to communication skills and is appreciative of social/psychological factors involved in a patient’s life. “My aim is to strive towards providing exceptional standard of care to my patients”. 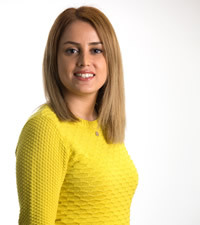 Dr Sahari has six years’ experience after graduating in 2012 at the Tehran Pezeshki University in General Practice in Iran and she moved to Australia in 2016 and became a member of the Royal Australia College of General Practitioner. 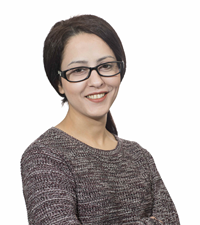 Dr Sahari started with Hoppers Lane General Practice July 2018 with a vast knowledge of all general medicine. Her particular areas of interest are women and children’s health, minor procedures, travel medicine, mental health, paediatrics, general preventative and chronic disease management. Sogand especially enjoys building relationships with her patients and working with women to help them as they establish their healthcare goals and needs with her kind and calm personality. She enjoys cooking, travelling and does exercise regularly. Growing up she did professional gymnastics and also Futsal which is similar to indoor soccer. 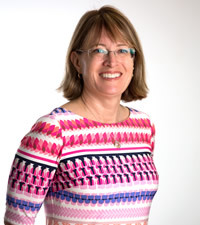 Marta is a Fellow of the Royal Australian College of General Practitioners with over 20 years medical experience. After graduating from Medical University of Silesia in Poland in 1993 she worked in Zimbabwe, southern Africa and in Iceland. She moved with her family to Australia over 10 years ago and worked in Ballarat and Country Victoria before moving to Hoppers Lane General Practice 4 years ago. Marta gained extensive hospital experience in surgery, general medicine, paediatrics, gynaecology and emergency medicine prior to shifting to General Practice. Marta enjoys diversity, General Practice provides. Her areas of special interests include women’s health (PAP smears, Implanon insertion/removal, Mirena removal, and other women’s health interests), chronic disease management, mental health issues and skin cancer medicine (skin checks, skin cancer surgery). When not working Marta enjoys spending time with her family and travelling. Dr Singh is a fellow of the Royal Australian College of General Practitioners. Graduating in 1990 from Ranchi University, he then completed is Masters in General Surgery from Patna University, India. In 1996 he moved to England and worked in several fields, such as emergency medicine, orthopaedics, surgery and urology before he became Fellow of Royal college of physicians and surgeons, Glasgow, Scotland. He worked as ED registrar for three years before taking up General Practice in 2003. Before moving to Melbourne in 2014, he was a principal GP and lead clinician in a busy city practice in Manchester, England. He has special interests in surgical procedures , vasectomies, skin checks and aesthetic procedures: with future plans to start hair transplant procedures (using the FUE technique) and does PRP injections.